mmorpgpowerlevel is a leading provider of services tailored to the needs of MMORPG players who want to maximize their online gaming experience. Whether you are looking for game items, currency farming, power leveling or gamecard, mmorpgpowerlevel provide these services at competitive prices while maintaining the highest of standards. 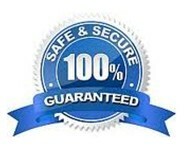 mmorpgpowerlevel strives to offer the fastest and most reliable service on the web for all your gaming needs. Feel free to contact us 24 hours a day, live chat and email. Our Customer service reps are standing by, waiting to help enhance your gaming experience. Since its conception in 2004, mmorpgpowerlevel has built upon its main aim of customer/gamer enjoyment. In providing a responsible environment for WOW enthusiasts to enjoy their game to the fullest. mmorpgpowerlevel has tried to provide the best service to customers as well as improving overall gamer experience. That is why today mmorpgpowerlevel - is the leader in World of Warcraft global MMO gold & item sales. mmorpgpowerlevel advocates fair virtual market, based on normal supply and demand! We have taken a strong stance against damage done to gaming worlds through in-game spam, exploits, and automated farming. mmorpgpowerlevel advocates healthy, secure and responsible secondary market practices. mmorpgpowerlevel is committed to building a good relationship with the publishers and players alike. Tens of thousands of our clients have already discovered how we're different. With the combination of our unparalleled security, reasonable price, powerful services, and commitment to integrity, we provide the most value for gamers and go all out to protect a fair & orderly gaming environment. We boast a professional and experienced R&D team. We are devoted to exploring entertainment skills at games, and promoting the transformation of these skills into quality service, so as to offer much richer gaming experience and improve entertainment value of game. Providing safe, accurate and highly efficient services for the gamers is our paramount objective. Good luck and thank you for choosing mmorpgpowerlevel. We supply the game products with 100% handwork. No bots, macros or cheats. Also, MMORPGPowerlevel never share your information to any third party without your permission. We promise your orders can be delivered within 5-10 minutes. If we couldn't deliver your ordered game products promptly, we will make some compensation to you.